We are the supplier of Rain Forest Marble. We are Bhutra Marble & Granites Specialized in producing Indian Marble, Imported Marble, Granites, Cladding, natural stones. Bhutra Marble, established in 1978. 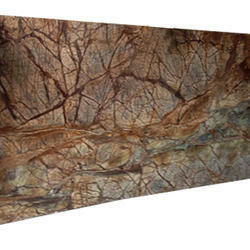 We are a leading manufacturer , supplier and exporter of Rain Forest Brown Marble. 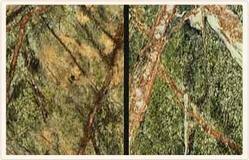 We also deals in all types of marbles and granite. We have marked our position in the global market for catering our clients with high quality Rainforest Green Marble. To maintain the reputation, we are engaged in offering the complete range of the rainforest marble in various colors. The offered assortment is offered in polished as well as brushed surface finish. The formats in which we offer our rain forest gold marble are slabs, tiles and blocks. Largely used in roofing, cladding as well as flooring purposes in both interior as well as exterior applications.